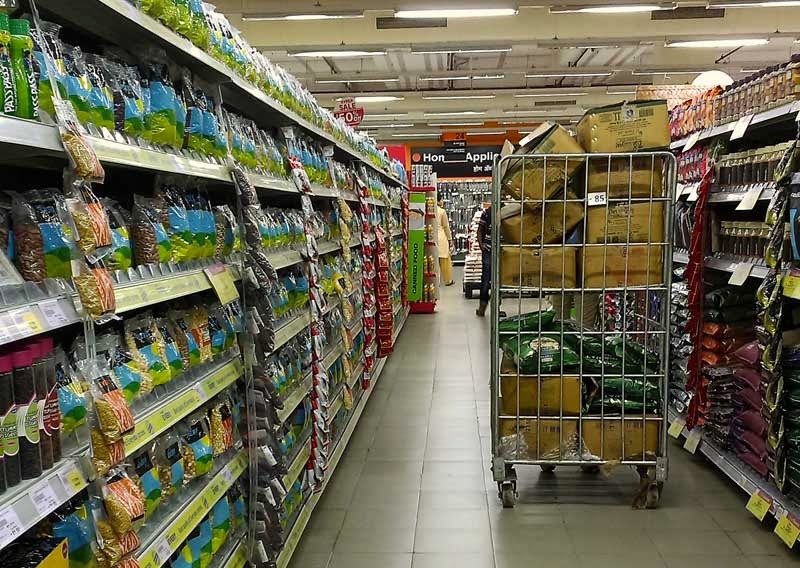 Indian Supermarkets are not less than any other supermarkets in the world although they may not be so many large ones. 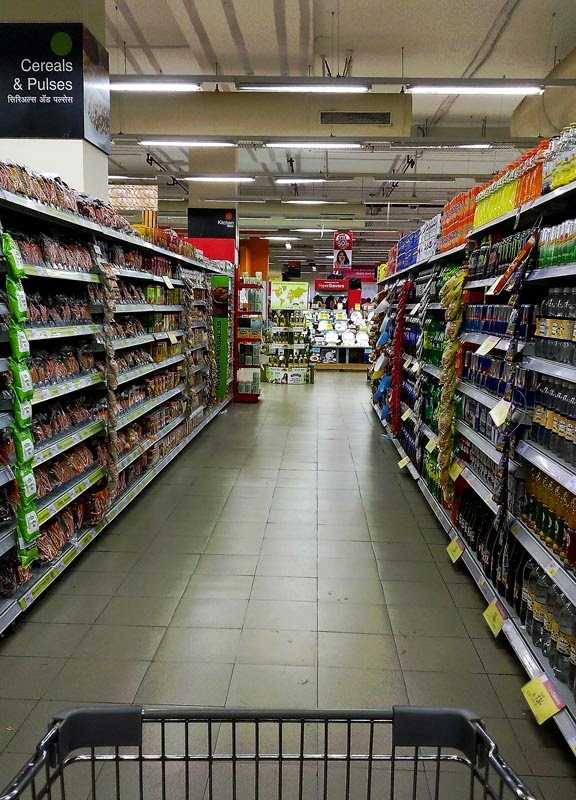 All these photographs are of the food section of the hypermarket. 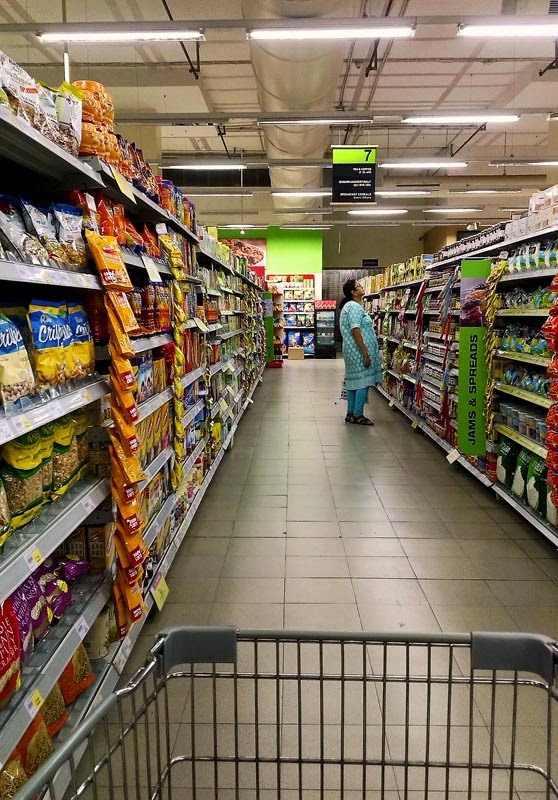 A supermarket aisle of a leading chain of supermarket stores in Western India. Stocked shelves of health food drinks and other food items in the grocery aisle of a supermarket in Mumbai. 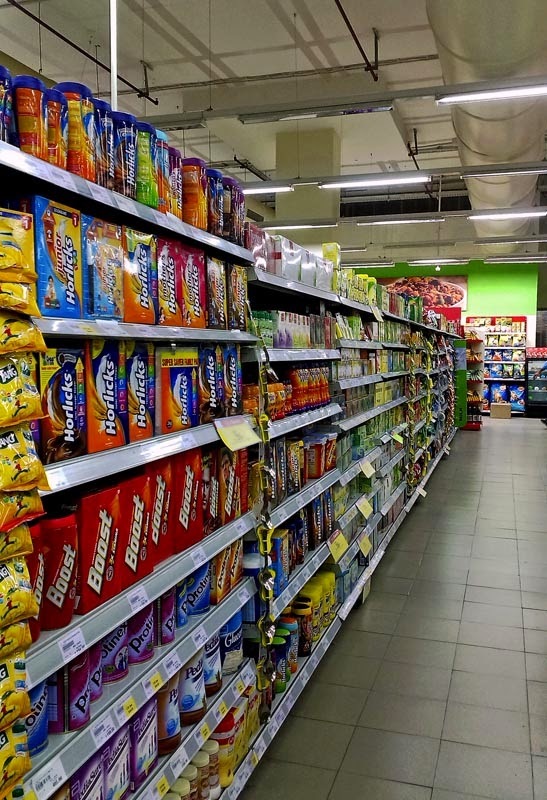 Here is a photographs of a supermarket aisle with the workers arranging the goods on the shelves. 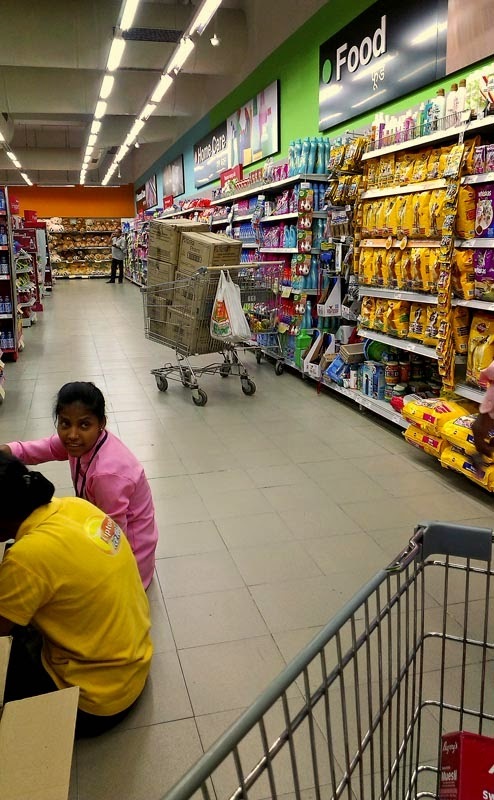 The typical supermarket in an Indian urban centre employs scores of young people, mostly out of school or college. And it has become a great social hub as you often see the boys and girls more engrossed in themselves than in the customers! Working in an air-conditioned, clean environment, even if for long hours at a stretch is a dream come true for many of these youngsters. It has also created employment opportunities for the middle classes. Packaged lentils being displayed in a supermarket aisle. A large trolley with food items in large cardboard boxes is doing the rounds to further stock up the shelves. A customer examining the various products on display at a food supermarket. You might also like: Supermarket pictures - crockery, tomato puree, coconut milk, cheese and butter or Fruit Vendors vs supermarkets or Small Retailers in India or photos of Markets. Or check out these posts: Juice and Milk display at supermarkets in India or Frozen fish at supermarket or For Sale Signboards in India or click on the label Retail.